Live the ultimate luxury life in a Garden Bure! This traditional bure is full of features that are sure to exceed expectations. There is even an outdoor shower and much more! Don’t stress about how you’ll get there! We include all the essentials, so your return flights and checked luggage are sorted – just pack your bag and head to the airport! Start your mornings the right way, with a stomach full of sumptuous breakfast foods. The talented chef’s put on a fantastic array of choices, so fill up a plate, pour yourself a cup, and fuel up for the day ahead. Feast on this! During your stay, enjoy two nights indulging in a mouthwatering dinner for 2 at the resorts main restaurant. Get a taste of Fiji with meal full of local flavour! Get pampered with us! Rejuvenate your mind, body and soul this holiday. Indulge with 2 x 30-minute massages during your stay and feel your tension completely melt away!  We know how much Aussies love a cold drink! 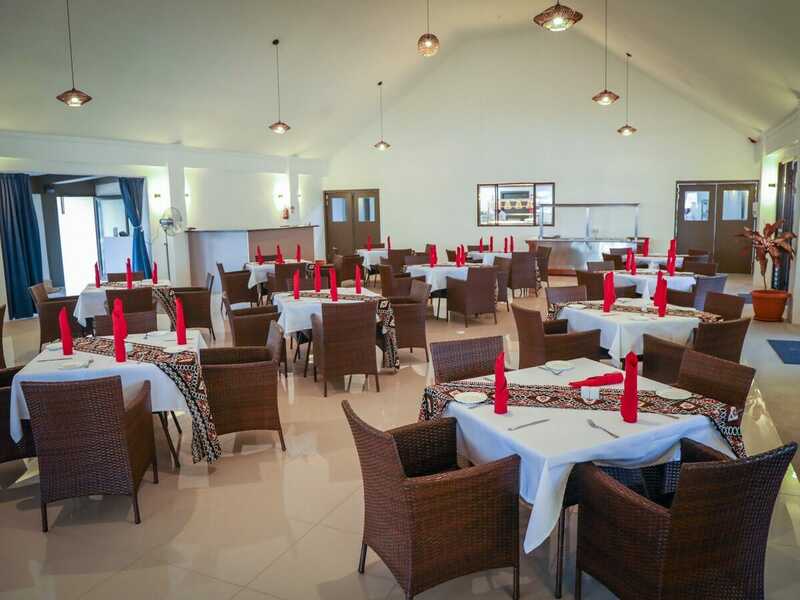 So head to the bar, take a seat and relax with a cocktail on us when you stay at Fiji Hideaway Resort & Spa Vuda. We’ve stepped it up a notch with a guaranteed upgrade to a Garden Bure! Set within the garden, with a traditional Fijian feel – how could you say no to that? The last thing you want to do on your holiday is stress about how you’re going to get to and from the airport. Enjoy private hotel vehicle return airport transfers on us so that you start and end your holiday in the same way—at total ease, completely relaxed. We all get a little thirsty after a flight and there’s nothing that says ‘holiday’ like a refreshing drink on arrival! Making the most of your holiday straight away is easy with a drink in hand, so sip away after checking in! Sit back, relax and put your feet up as soon as you arrive! The specialised therapists of the resort’s spa will treat you to a 15-minute foot ritual for each guest upon arrival! Sip to your heart’s content at the management cocktail party and enjoy a selection of drinks and bar snacks to get you in the holiday spirit! 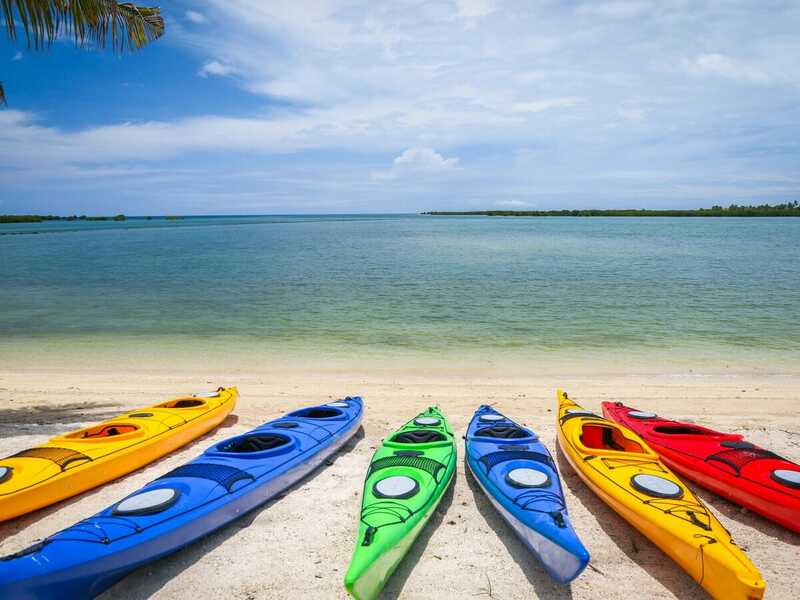 Beat the heat and stay hydrated on us when you check in to Fiji Hideaway Resort & Spa Vuda! Enjoy 2 complimentary bottles of water each day! Be entertained as the sun sets with nightly entertainment! 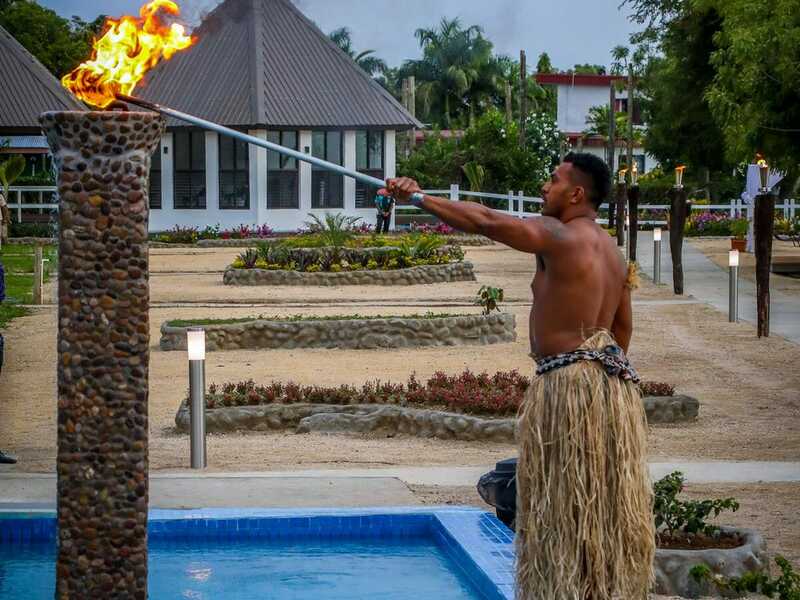 Enjoy happy hour at the bar, musical performances, activities, traditional Fijian ceremonies & heaps more every night of your stay! Check-in, upload and report home! With complimentary internet, you can become the envy of all of your friends. Show off just how good your holiday is—whatever social platform you use, update it to your heart’s content! 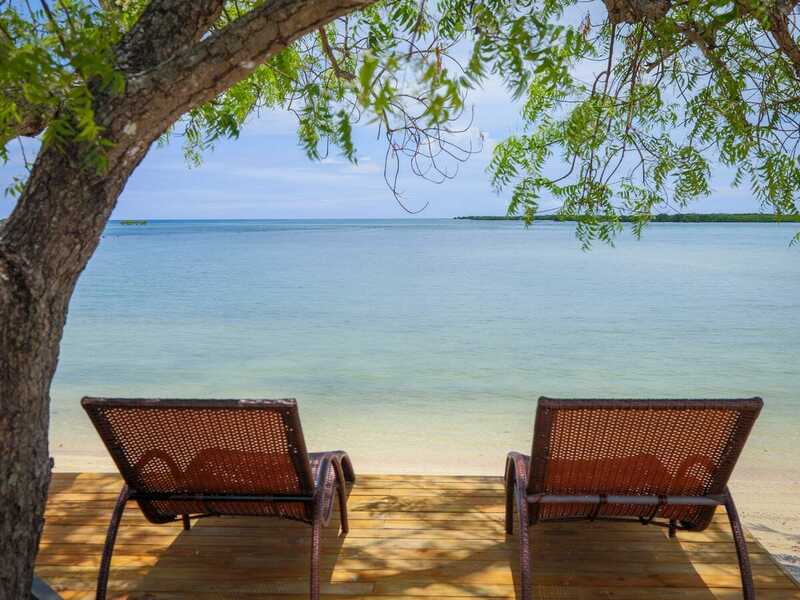 Look no further than Fiji Hideaway Resort & Spa Vuda for the ideal holiday escape, a real “heaven on earth!” This adults-only resort is known for genuine Fijian hospitality. Friendly locals on staff will greet you “Bula!” upon check-in and they are always ready to offer personalised services. So, set your internal clock to Fiji time as you spend your holidays at the 4-star Fiji Hideaway Vuda. 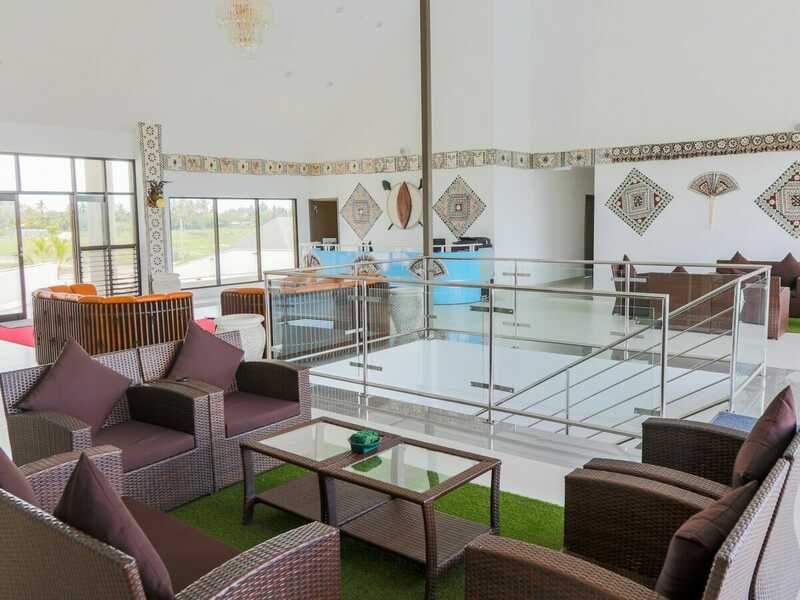 The boutique resort is located between Nadi town and Lautoka city, only 20-minutes away from Nadi International Airport. 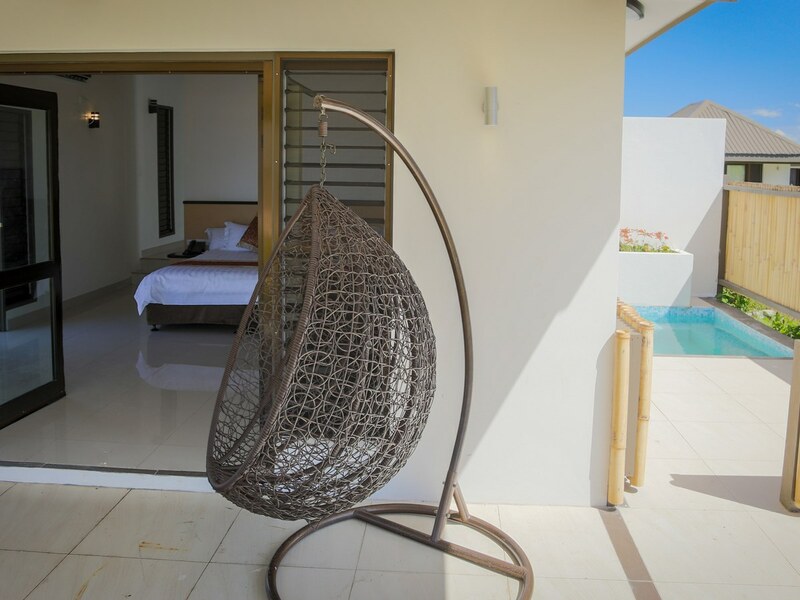 Set on the beautiful Vuda Beach, this locally-owned-and-operated property offers a collection of contemporary suites and bures. If you fancy swimming in crystal-clear turquoise waters and walking the white, powder-like sands, Fiji Hideaway Vuda is the perfect place for you. Have a private beach dinner under the stars and savour freshly-prepared meals from the on-site restaurant. Enjoy some delicious rum or sip margaritas from the swim-up bar, all while enjoying the views of the horizon. This 45sq. metre accommodation, furnished with a King-size bed or 2 Single beds, comfortably sleeps 2 guests. Enjoy picturesque landscape views from your private balcony with outdoor sitting area. The Garden Bure is also tastefully-designed with wooden shutters, classy interiors and a lavish bathroom for pure bliss and relaxation. Other in-room amenities include a minifridge as well as tea and coffee making facilities. This ultra-spacious accommodation, well-appointed within a paradise bursting with tropical sea life, is what every honeymooner deserves. With a room size of 70sq. 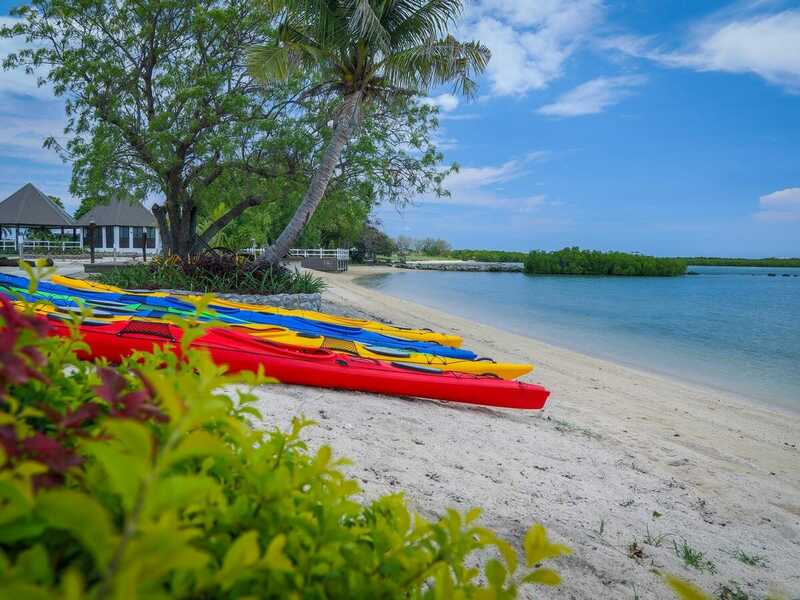 metres, the Beachfront Bure offers complete luxury and comfort. It is fully-furnished with a King-size bed or 2 Single beds, an air-conditioning unit, a cable TV and an en suite bathroom. In addition, the large balcony with sun loungers open up to a private plunge pool. **Flights are based on promotional economy class fares with checked luggage allowance per person. Flights departing Sydney are flying with Jetstar and include 20kg of checked luggage per person. Flights departing Brisbane, Melbourne, Adelaide & Perth include 23kg of checked luggage per person. Prices are correct at time of publication and are subject to change. Flights may not be direct or operate daily. ^Flights from Adelaide and Perth will be via Sydney, Brisbane or Melbourne. Subject to promotional fare availability. Air surcharges apply during Australian school holidays and peak travel periods.